"X-Men: Days of Future Past" is the latest feature film to portray America in the 1970s. “X-Men: Days of Future Past” is the latest film to join in Hollywood’s recent rediscovery of the garish flash and persistent pessimism of the 1970s. Tanine Allison, assistant professor of film and media studies at Emory, believes the trend reveals a wave of nostalgia generated by those who were coming of age when disco and polyester were king. "Films set in the not-too-distant past tap into a nostalgia – for spectators and directors," says Allison. " “Many theater-goers today are older, and they like to re-experience events they lived through in the past. Filmmakers in their 40s, like J.J. Abrams ('Super 8') and Ben Affleck ('Argo'), like to make films that take a look back at their childhoods." For those too young to remember a nostalgic setting, a film can serve as a teaching tool to give viewers a sense of the past and what living at that time may have been like, Allison adds. A historic backdrop, like the 1960s setting in "X-Men: First Class" and the 1970s setting in "X-Men: Days of Future Past," also allows writers and filmmakers to address political and social dynamics that would be more controversial to address in a modern setting, Allison says. 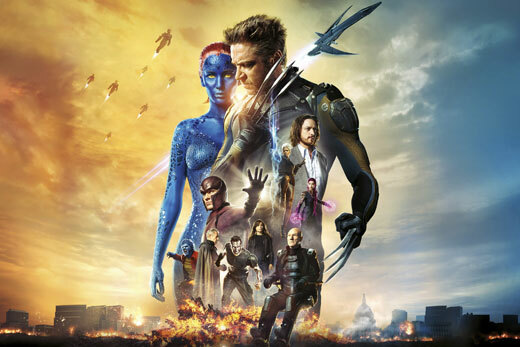 "Blockbusters like X-Men are looking to the past to explain our present," Allison says. "Who is it that frightens us now? It's not one country as it's been in the past." The Cold War setting from the two backward-looking X-Men films show nostalgia for a time when America's enemy was clear. America's current challenges are much more difficult to define and target, Allison says. Several recent films, from "American Hustle" to "Argo," don't just feature 1970s clothes and cars; they also serve as homages to America's 1970s film-making renaissance. Nostalgia for the 1970s extends to 70s film techniques and editing, Allison adds. Certain parallels between the 1970s and today (a morally unclear war dragging on for many years, a struggling economy and an uncertain future) also seem to have lent the 1970s a more irresistible mystique for filmmakers during the past few years, Allison says. “It’s just in the air and coming out in these films,” Allison says.